No industry will be left untouched by technological advances. Where the movers and shakers of the past two centuries have largely complemented technology and employees in the workplace, Industry 4.0—the name given to the fourth industrial revolution dominated by big data and artificial intelligence—is having a much more profound impact on the world of work. The pace of change means the modern employee needs to be both adept at adapting to rapid change and equipped with the digital skills to thrive in the modern workforce. Luckily, graduates from the Chinese University of Hong Kong (CUHK) Business School’s MSc in Finance (MScFin) and MSc in Business Analytics (MScBA) courses are leaving the school with the skillset to dominate across industry. 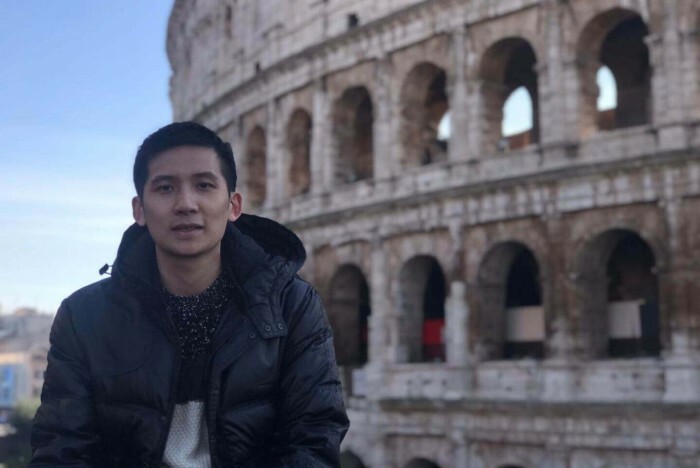 Tang Yau Pang, who hails from Hong Kong and has a software engineering background, graduated from the CUHK MSc in Business Analytics course in 2016—he’s now a business analyst for China International Capital Corporation (HK) Limited, one of China’s leading investment banking firms. “In order to start my career across industries, I always kept an eye on the latest business and technology trends,” he explains. In the last year of his software engineering undergraduate degree, Tang says that big data and data mining were the hot topics of the day. He realized that in the digital age, data analysis skills were required for his future career journey. The best way to augment these skills was a masters degree—hence his pursuit of the MScBA at CUHK. In his current role as a business analyst, Tang says he’s the liaison between the technology team and the sales trading team. Although he came into CUHK Business School from a non-finance background, the course immersed him in cutting-edge technologies through case studies and group projects. He explains that it provided a platform to meet industry leaders and combine his broadened financial and data analytics knowledge. Zeyu Wu (pictured below, right), a 2015 graduate from the MScBA, was hooked by the mobile internet industry back in 2012. With an undergraduate degree in economics, she says it would have made sense for her to enter a financial institute, FMCG, or international trade. She instead joined a mobile gaming company. She chose to enter the company not because she’s a good gamer, but because she believes mobile gaming companies have a sound business model, that integrates development, operations, marketing, and community, while drawing on a strong data-based decision-making methodology. Zeyu also discovered the potential if she was to tap into the digital skills gap. After graduating from the MScBA program she joined Tencent, as a product manager and business analyst, in Shanghai. She’s using the skills she learned during the program every day. CUHK Business School also offers students cross-university collaboration to augment their understanding of business from different perspectives. As well as learning how to apply analytics tools during real business case studies, Zeyu says that she was able to select courses from the Engineering School—big data application, or social media analytics courses, for example. Currently working at JP Morgan, CUHK MSc in Finance graduate Patrick Keung (pictured below, right) is an experienced finance professional with an undergraduate degree in accounting—he’s also a certified public accountant and a CFA charterholder. CUHK Business School not only prepares students to enter new industries, it enables graduates to develop an understanding of how technology is disrupting the industry they’re already in. Patrick chose the MSc in Finance degree to deepen his practical financial knowledge and stay abreast of the industry’s latest trends and developments. The learning environment on the program was constantly challenging, he adds, and one where classmates learned from each other as much as from their professors. “I would highly recommend [the CUHK MSc in Finance program] to those who hold themselves to high standards, strive for continued excellence, and push themselves to their limits,” he concludes. A fellow graduate from the MSc in Finance at CUHK Business School, Gong Li (pictured below), is also tapping into the latest finance trends in Asia. After working in emerging markets for Société Générale in Hong Kong, he moved to Beijing in 2017 to work in asset management. “CUHK Business School is one of the top business schools in the world, and definitely in Asia,” he asserts. The thing he gained the most from the program was an understanding of important it is to be a team player, as well as a good self-learner. “The studies during the MSc in Finance program was like a self-enlightening process,” he says.